My name's Angga Kusuma Putra was born at Denpasar, June 26th 1992. I love travelling, reading, and watching DVD. After finish my Senior High School, I'm not continue my school to College. That because some company wants me to work in their company. So, I take this chance. 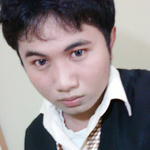 During I'm at 2rd Grade of Senior High School, I work as a freelance web designer then continue to web developer. I enjoy my work. And I am grateful, I handle all clients who are satisfied with the results of my work. Since then I am committed to continue with the more serious business and customer satisfaction is our top priority. In my mind, I instill the idea that freelancers do not compete with any company. This is because since I had the ability and skill. Although I am a freelancer, but I have a way to make the customer satisfied with my work as he worked with other companies. Freelance with a quality company, and certainly with a more affordable price compared to other companies. Time change, I finally decided to work on private leading companies in Denpasar, Bali. This I do to increase my work experience and improve the quality of my own company, The Butterfly Design Company. In addition to my main job as a Web Developer on a private company, I manage my efforts: The Butterfly Design Company and now is trying to sell clothes online shop on my own and my business running well. Description: I Work at CV. Bali Intermedia Utama as a Website Developer. Converting PSD to XHTML Page and CSS Version 3 also make a website programming. Description: I'm the Owner of The Butterfly Design Company. I work as a web developer and Managing Director here. In the company, we have 5 peoples work to help customer make a website and SEO Support. We also sale Domain and Hosting Website with cheapest price. Description: LaBelle Boutique is one of so many The Butterfly 's Clients. We work for their website and just finished in 21 days. LaBelle Boutique is a DYNAMIC Website. Description: LaBelle Boutique is a boutique Industries in Bali. We have been to hired from Ms. Grace Aurea Laksana to develop her boutique website. The project start at 4 May 2011 and finished on 23 May 2011. And successfully online at 24 May 2011 in the morning.